Leading farm bill negotiators in the House and Senate announced that they have reached an “agreement in principle” signaling that a final deal will be made before the end of the year. Included in the initial agreement is language providing $25 million per year for 5 years for research specific to the invasive insect Asian citrus psyllid and plant deadly plant disease Huanglongbing (HLB). 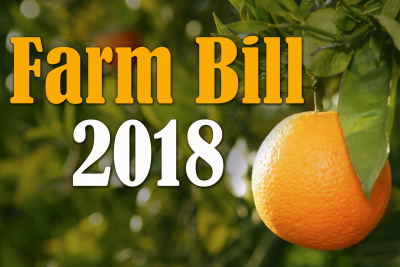 The Farm Bill funding specific to HLB research compliments the $40 million per year program funded by California citrus growers to stop the spread of HLB which has been detected in over 900 backyard citrus trees in Southern California. In recent years, the state of California has dedicated funds to augment ACP and HLB control efforts in urban areas including the rearing and release of millions of beneficial insects in backyard citrus trees.